Customer Definition - the customer and value chain for electrical energy technologies (e.g., consumers, utilities, transmission operators and independent service operators) varies by application, region and business model. As such, some technologies must go forward with multiple/parallel customer models. Regulatory Landscape - while some regulation and certification regimes exist (and others are emerging) many key aspects of the path-to-market are subject to the strategic needs (and discretion) of players in the market. Market Forces - many advanced energy technologies (e.g., renewables) are still in early stage development and manufacturing and will require significant leaps in manufacturing and deployment before they are cost competitive with legacy energy systems (e.g., coal). As such, the total economic model for a given technology may be dependent on subsidies (e.g., the Federal Production Tax Credit), regulatory requirements (e.g., State Renewable Portfolio Standards) and market adjustment schemes (e.g., cap and trade). As these and other forces wax and wane, the tax of commercializing technologies requires contingent and iterative business strategies. Innovation: Integration and Systems - technologically, few scientific innovations will result in a fully integrated product. 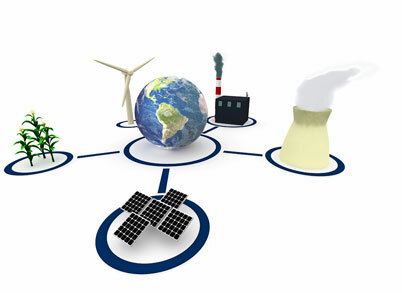 The commercialization of advanced energy technologies requires a particularly strong focus on value chain, component product development and interdisciplinary approaches to designing and engineering a complete product and business model.